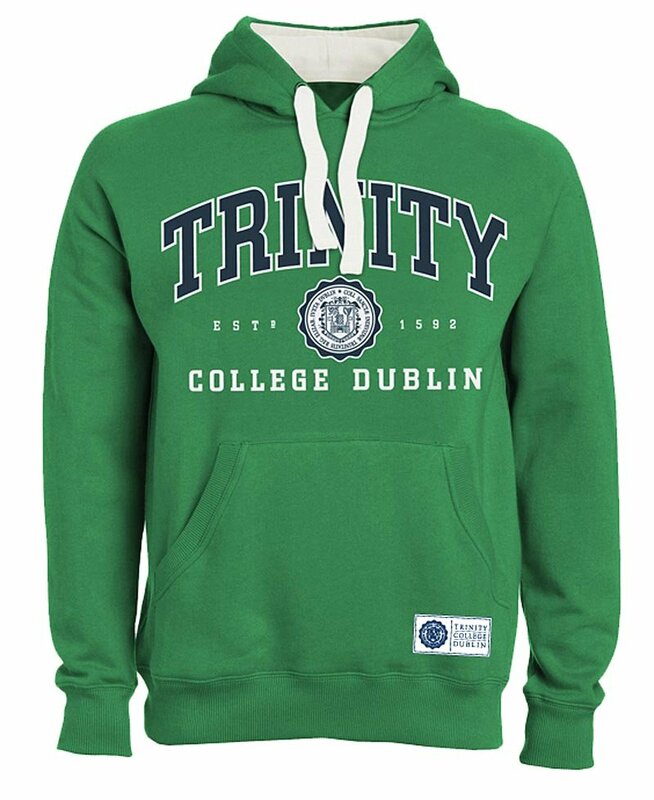 This green Irish Sweatshirt has the relaxed and favored style of a hoodie, proudly displaying Trinity College's ancient 1592 seal. Sizes S, M, L, XL and XXL. Shipped separately - please allow 1-2 weeks for delivery.